Fishing rods are my weakness! New Era NE6 fly rod and NE56 fly reel. 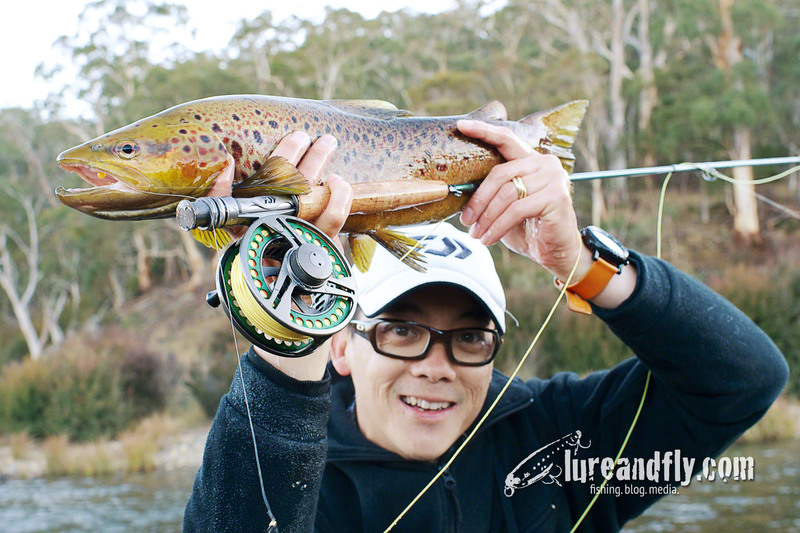 My foray into the world of Fly fishing, in typical Seeto style, has been a little obsessive. Ok, maybe a little bit more than “a little”, and closer to “quite a lot”. In the last 4 or 5 months I’ve spent more time than I care to admit, on the water catching, well not a whole lot. The salmon in Sydney Harbour have been scarce, and I got the bug a bit late in the season to successfully target the bream. Luckily for me the trout fishing has been pretty exceptional this year. But, that said, I’ve had a lot of hours to work on my casting, and it’s certainly improved a lot in that time. In the beginning, like many anglers, I really wasn’t sure that fly fishing was going to be for me. 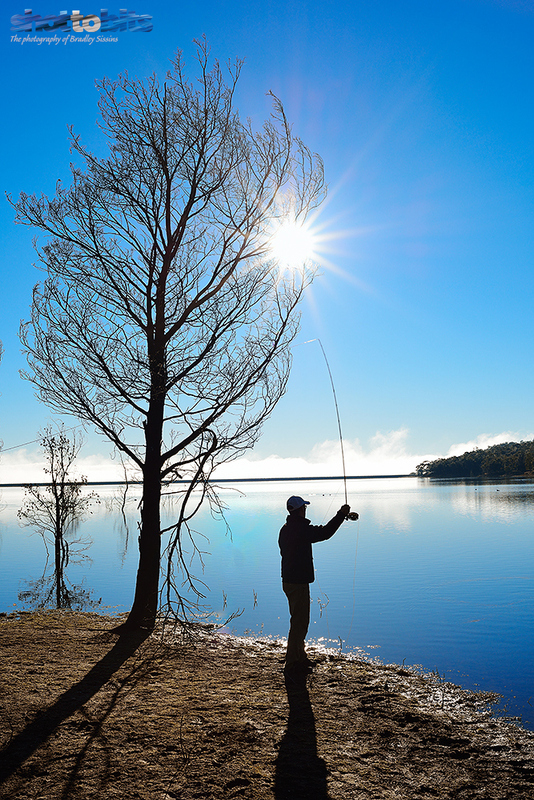 As a beginner, one could be forgiven for thinking that there’s an air of mystery around the technique, and on the surface, fly fishos appear as secretive as a “5 kg bag limit” of bream anglers. As a beginner, the odds are really stacked against you, and success, and ultimately the drive to persist, can quickly wane. The obvious hurdle is learning to cast. The seasoned anglers make it look so effortless, and watching them shoot off line reaffirms the appeal, but the hours in the park practicing with a flyless line, somehow seem to crumble to nothing when you get on the water and sight a fish. The cross breeze, the fumbling with the line and the whole new world of tangles that you can’t even begin to imagine are frustrating on their own, but add the reduced catch rates that I’ve already mentioned, and you have the recipe for a short lived hobby. 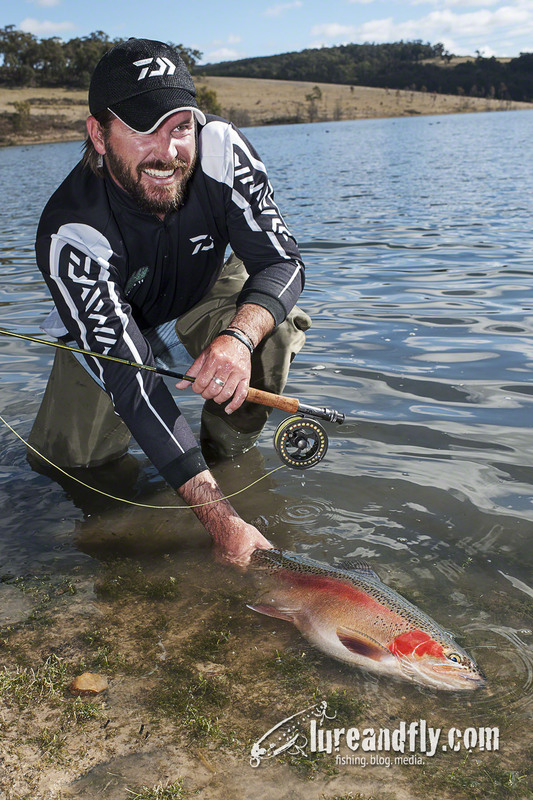 Selecting a fly rod and reel in this situation could seem like a daunting task. Look at the price tag for some of the premium brands, before you add a reel, and suddenly this is getting out of hand. Thinking back to when I first started out in fishing, I probably felt just as daunted, and the initial approach was to find an allround outfit that would cover as many bases as possible. Now, I have a different spin rod and reel combo for all conditions, techniques and applications, but initially I started with one. 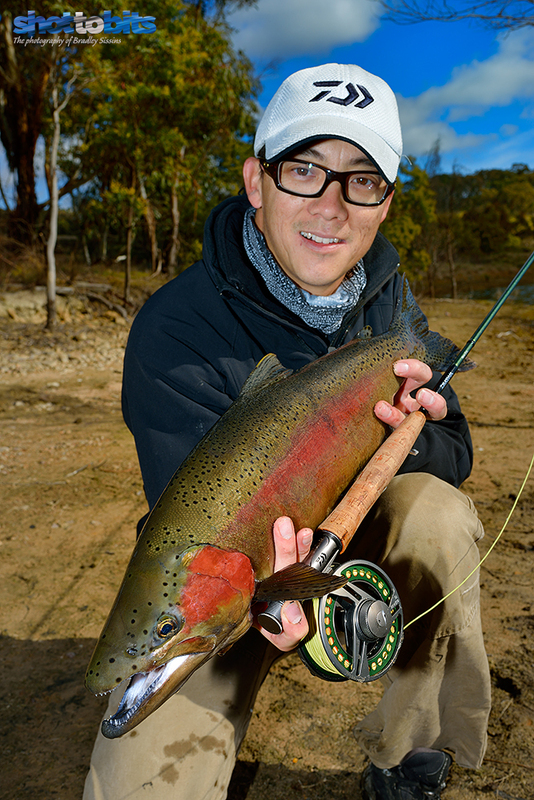 I’m a believer in “you get what you pay for” when it comes to fishing gear, so the idea of an affordable, allround fly fishing outfit that doesn’t compromise on quality and performance seems almost too good to be true, but in typical Daiwa fashion, their New Era fly gear successfully fits this bill. I’m using the NE 56 reel on the NE 6 rod, and thus far have been pretty happy with the outfit. For the first part of is life, it spent more time casting than catching, but slowly that is changing. The reel comes with an interchangeable cartridge spool system, and 3 spools out of the box, offering true versatility and the ability to change fly lines quickly and easily. 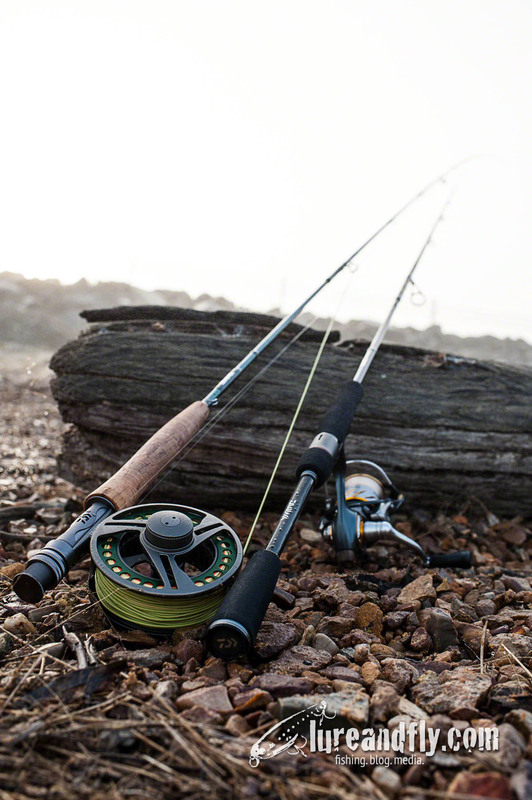 The winding direction of the reel can be interchanged to accommodate lefties as well, and the reel boasts a smooth carbon washer disk drag system that is saltwater friendly. I’ve set mine up with a saltwater floating line and a saltwater intermediate line on two of the spools, and a freshwater floating line on the third. Changing over the cartridges is as simple as undoing a spool cap, and removing the spool to expose the cartridge that can then be interchanged. The NE6 rod is a 9 foot, 4 piece, 6 wt rod. Boasting the polish you’d expect from a Daiwa product, with premium cork handles and alloy reel seat, it recovers quickly when casting, and is more than adequate for my level of skill. I feel pretty comfortable now casting between 25-40 foot of line with this rod, and it loads quickly when picking up line off the water and punching it back out with minimal fuss. I’ve got a few nice fish under my belt now on this outfit, and to date, it has handled everything that has been thrown at it. The best session to date was 5 trout to around 7 pounds in 45 minutes on a glo-bug and nymph rig. 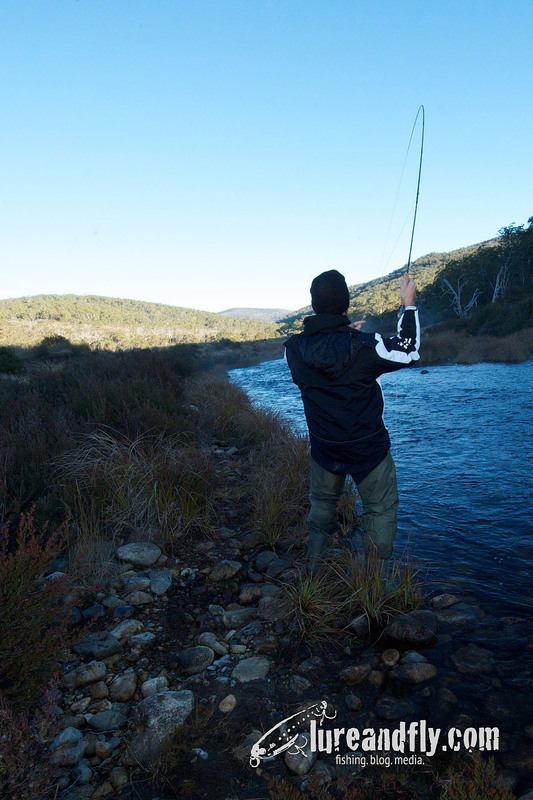 The action is forgiving, given the tiny hooks we were using, yet the rod didn’t feel undergunned in the circumstances. I am getting back to the fly rod just lately chasing bream but next time your up here the Bass can get a run on the Dahlberg divers. Look forward to it Craig, oh and don’t worry, I’d already given it some thought. Those whiting on Cathie would have to be an option as well if the system is open. Those are awesome fish and this looks like a helluva rig! Very nice post.